Home // featured , posts // Overnight Oats! The perfect on-the-go breakfasts that taste like desserts! Overnight Oats! The perfect on-the-go breakfasts that taste like desserts! It’s no secret that mornings are already stressful without having to add a healthy and fully nutritious breakfast to your daily routine. Enter, Overnight Oats! For the busy moms and dads who are always rushing to get the kids to school and yourself to work, they are the perfect solution for any on-the-go breakfasts. 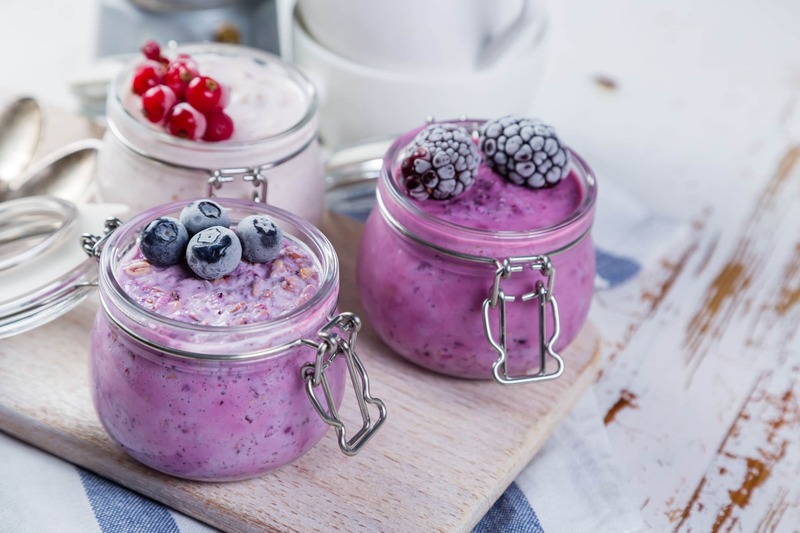 Overnight oats are super-easy to prepare, portable, inexpensive and a delicious way to get your day off on the right foot. Soaked oats have some unique properties that make them a must for those looking to improve their morning breakfast. The best part is, soaked oats are easy, take less time to prepare, and all the work is done overnight as you sleep. PLUS, they taste delicious! Why don’t you start by trying our favourite recipes below. 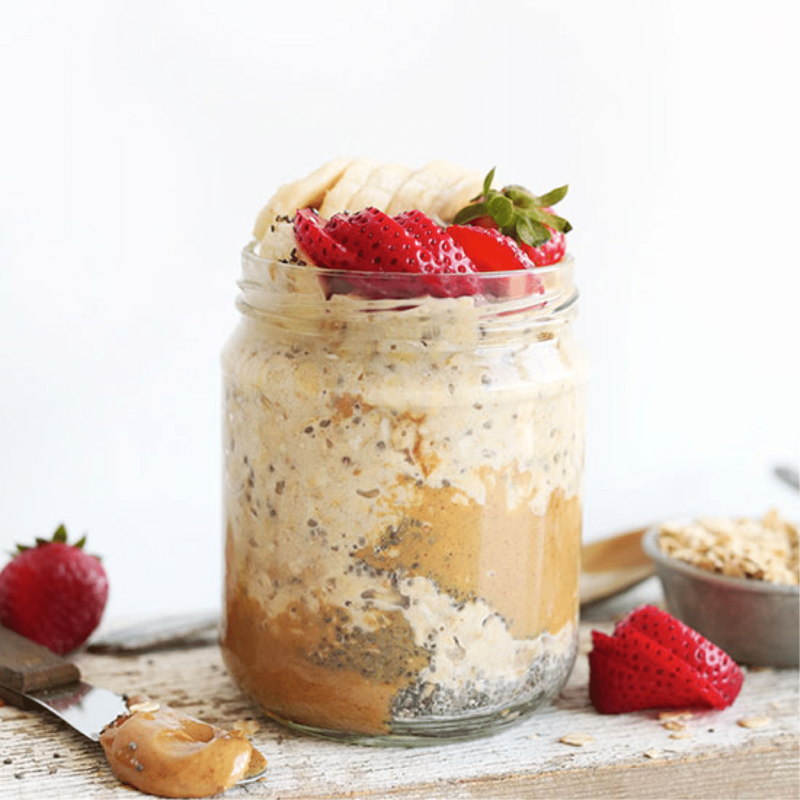 To a mason jar or small bowl, add almond milk, chia seeds, peanut butter, and honey and stir with a spoon to combine. Add oats and stir a few more times. Press down with a spoon to ensure all oats have been moistened and are immersed in almond milk. 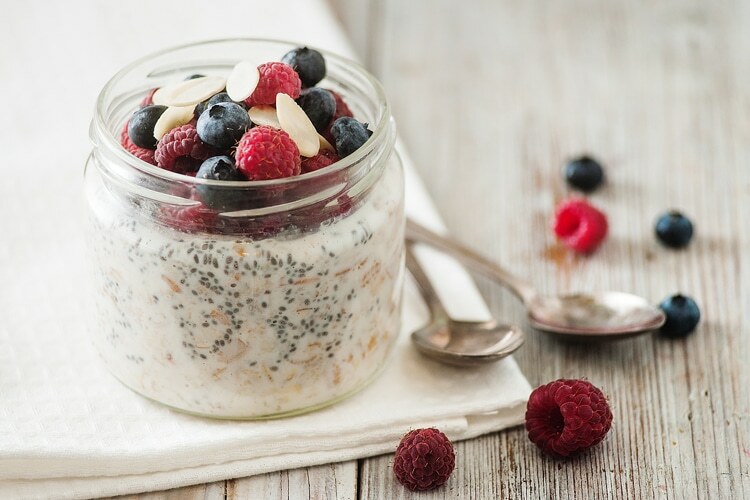 NOTE: Overnight oats will keep in the refrigerator for up to 2 days, though best within the first 12-24 hours. Add the oats, chia seeds, honey, banana to your container of choice and pour in almond milk. Make certain that the oats are covered in the milk. Add Rolled Oats to your container of choice, pour in milk, and add in blueberries and banana pieces and Greek yogurt. NOTE: You can try this recipe with any berry variation. 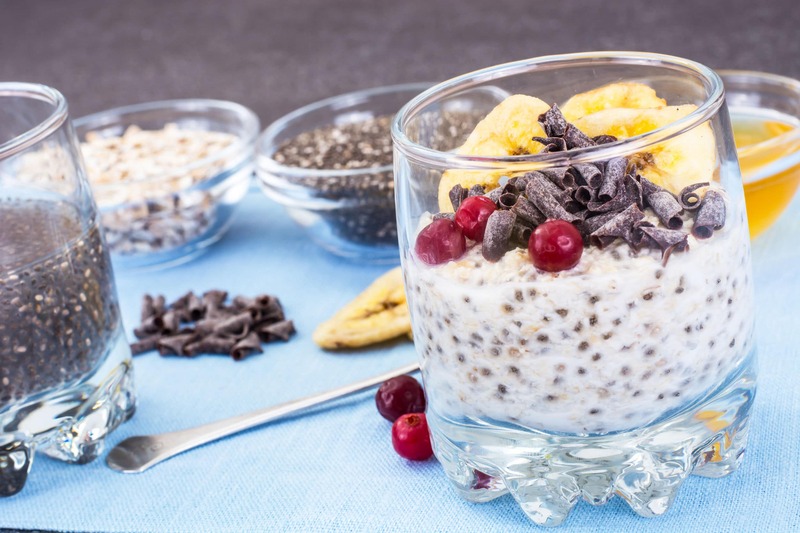 Add oats to your container of choice, pour in milk, add low-fat yogurt, and sprinkle in chia seeds along with the honey. Add in combined mixture of frozen blackberries, banana, and raspberries.